PEDESTRIAN CROSSING: Frightened Rabbit have released their fourth record – Pedestrian Verse. According to Scott Hutchison, poetic lead singer of Scotland folk-rock group Frightened Rabbit, his ­country and Australia share a defining ­characteristic. “Both cultures enjoy a beer – that’s one massive similarity,” Hutchison, who is ­enjoying a day off in Newcastle, England, says down the phone line. “Though I do think that maybe Aussie drinkers are more positive than Scottish ones. “There’s a misery that pervades Scottish culture that is not so present [in Australia]. Hutchison’s band received a warm welcome during their three previous Australian tours, so the decision to join 2013’s Groovin The Moo regional roadshow was a no-brainer. For fans who have never seen them live, the singer sends word that their gigs are not as melancholy as you might assume from ­listening to the albums. “It’s much more of a rock show than what people would expect,” Hutchison says. “We do write some fairly morose, ­miserable songs, but I think the whole show can be unexpectedly uplifting – it’s a joyful thing and you can sing along. The songwriter feels their fourth record Pedestrian Verse translates to the stage more effortlessly than their prior releases. For the first time the group recorded the core of the tracks together live in the studio, rather than in individually layered takes. “We figured that we had spent seven years touring, playing live, so why wouldn’t you want to bring that energy to the studio?” Hutchison explains. There is no harsher critic of the band’s music than Hutchison. The songwriter feels that the process of building The Winter of Mixed Drinks in layers of instruments, “from the drums upwards”, led to sonic overkill. “I think we went a bit overboard with the tracking and as a result it became saturated and I think a bit sludgy,” the songwriter admits. Frightened Rabbit’s home nation of Scotland has a rich history of musical acts, from Jesus and Mary Chain to Simple Minds, Teenage Fanclub and Primal Scream. Hutchison feels that the bands of his ­country, and particularly from Frightened Rabbit’s home of Glasgow, have a definable sound that permeates each new ­generation of groups. “I started writing music when I was ­listening to bands like The Delgados and Mogwai and Belle & Sebastian,” the singer says. “There’s a lush romantic sound to those bands that I like to get into my music – an epic soundscape. 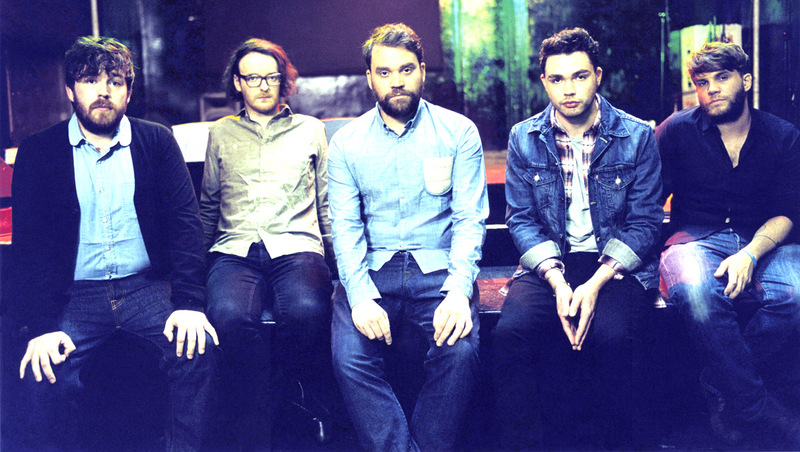 Frightened Rabbit received widespread attention with their second record, 2008’s The Midnight Organ Fight, in which Hutchison reflected on a difficult relationship breakdown in an almost documental fashion. On 2010’s follow-up, The Winter of Mixed Drinks, he instead blurred the lines of reality with semi-fictional lyrics. The acclaimed wordsmith says that this year’s Pedestrian Verse is an even pastiche of confession and imagination. “I tried to move away from [personal songs] because having spent so long on tour, I was doing an hour-and-a-half every night of just songs about me,” Hutchison admits. “It started to feel very self-indulgent. If anything else, I wanted to see if I could write about someone else – something ­else – other than my own life. Despite broad aspects of Hutchison’s private life laid bare for those that wish to listen, the songwriter does not regret releasing any of his songs. “I’ve only ever regretted it when I’ve censored myself,” he says. “I think that the band, and I, are best when I don’t hold back. “The other thing is, when you’re playing [the songs] live nobody is really attributing those lyrics to me. “They project their own lives on to the songs, so I’ve never felt uncomfortable with it. Although Hutchison is now at peace with writing deeply personal lyrics, he was guilty of deliberate vagueness on The Winter of Mixed Drinks. “[Pedestrian Verse] was a direct result of what I think was a failure on [The Winter of Mixed Drinks],” Hutchison says. “The Midnight Organ Fight was very confessional and it made me feel a little exposed. “The mistake I made with Winter of Mixed Drinks was to go against that and I think it just watered it down a little bit. The lyrics of Frightened Rabbit’s songs are never written first, with Hutchison admitting that “a blank page looks terrifying” to him unless there is a musical structure in place. But the layers in Hutchison’s words are invariably rife with imagery and references. In Pedestrian Verse the ­songwriter draws on some grand themes. “There’s a bit of religion and death going on there [in the lyrics], there’s redemption and there’s always hope,” he says. “I feel like the album does drag you through the emotional ringer at times, but there’s always a light at the end of each song, and certainly at the end of the album.